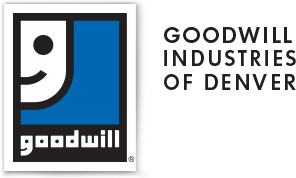 DENVER, Colo. — Goodwill Industries of Denver is excited to announce the organization has been awarded a $20,000 grant from The Boeing Company. The generous gift will support Goodwill’s efforts to expose disadvantaged youth in the Denver metro area to career pathways related to science, technology, engineering and math (STEM). The grant will specifically fund Goodwill’s STEM Initiative in Aurora, Colorado which includes 21st Century skills coursework, direct engagement with STEM industry employers, internships with STEM employers and STEM career events. This grant will support STEM programming specifically in four of Goodwill’s partner schools in Aurora—Gateway High School, Hinkley High School, Martin Luther King Early College and Aurora West Preparatory Academy. "Our people have unique skills and an unwavering passion for making a difference in the world, both through our products and services and the ways we give back to our communities," said Dennis Muilenburg, Boeing chairman, President and CEO. "When that's combined with our professional networks, partnerships and financial resources, we have the potential to drive positive, lasting change across the globe in important areas such as STEM learning and veterans' support." Students graduate from Goodwill’s STEM Initiative with college credits, real-world industry experience, lasting professional connections and a career plan that will propel them to success in both their postsecondary education and employment in STEM-related careers. Its STEM Initiative is just one of many Goodwill career development programs that impact the lives of tens of thousands of Coloradans with barriers to employment every year. Through purposeful investments, employee engagement and thoughtful advocacy efforts, Boeing and its employees support innovative partnerships and programs that align with the company’s strategic objectives, create value and help build better communities worldwide. See how Boeing is making a difference by visiting the 2018 Boeing Global Engagement Portfolio at Boeing.com/community. Chicago-based Boeing is the world’s largest aerospace company and leading manufacturer of commercial jetliners and defense, space and security systems. Engage on social @Boeing with #BoeingInspires.